Whether you have played a course 20+ times a year or looking to play the course for the first time, insights from an insider can help enhance your golf experience. 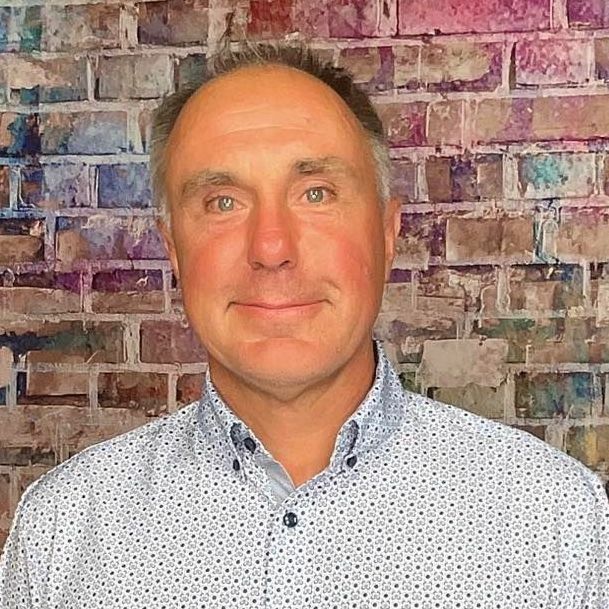 Below is an interview with Robert Mills who shares some valuable tidbits about the course, memorable holes and must eats and treats at the 19th. Spring Valley Golf Club and Lodge is an 18 hole public golf course, located near the small town of Mercer, in Western Pa. Spring Valley's all included "stay and play" golf packages offer unlimited golf with cart, fabulous food at the Hell's Hollow Bar and Grill, and unique lodging at "the only golf course in Mercer County with onsite accommodations". A variety of terrain awaits you at each distinctive hole, built mostly by Mother Nature, you'll want to play Spring Valley over and over. The resort also offers many amenities, so if you are looking for a great adventure for a day or for a weekend, this is the place to be. Discover all we have to offer at Spring Valley Golf Club and Lodge. "STAY and PLAY" golf packages offer unlimited golf with cart, overnight accommodations, fabulous home-cooked dinners and hot breakfast buffets. Spring Valley can accommodate 4 golfers to 44 golfers, and packages can be specialized to suit any group. Just park your car until it's time to head home. The lodge is located in the upper barn in the clubhouse, which is a restored 1870's dairy barn. Each room in the rustic lodge is equipped with 2 beds, private bath and AC. Rooms surround an open common area great for gatherings to play cards, socialize, or just to watch TV. There are two suites in the lodge each with sitting rooms and 2 bedrooms. The "eagles nest" is the perfect spot for smaller groups. A screened in porch with a private entry way houses 4 new rooms located next to the lodge. The restored 1870's farmhouse is another option for groups of 12 or less. This unique house has 6 bedrooms, 2 baths, living room, which looks out onto #1 fairway, and a full kitchen. The back yard has a great fire pit with fire wood provided to enjoy your evenings around a campfire. Enjoy the new, spacious sundeck surrounding the heated swimming pool and hot tub. Located right outside your door you can Golf, Eat, Drink, Swim and just relax. Spring Valley is a family built and run golf course, with my family members and great staff, we are able to offer our customers a fantastic value on stay and play golf packages, including incredible food, fantastic golfing and charmingly rustic accommodations. 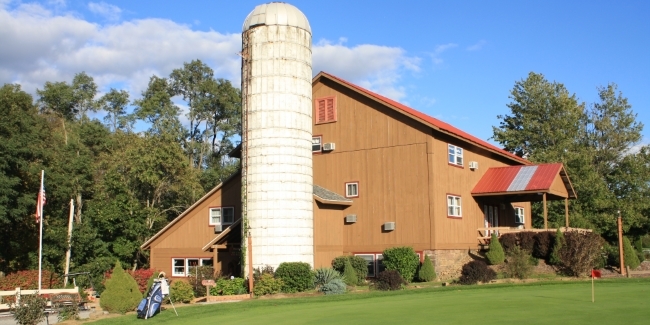 Groups can play unlimited golf at Spring valley, stay in our restored 1870's dairy barn and never have to get back in your car until you are heading home. There's plenty of room for all size groups from couples to 44 golfers, Spring Valley has so much more to offer, from our great golf to the Hell's hollow bar and grill, heated swimming pool, sundeck, hot tub, practice area, campfires, fishing and hiking. If you are looking for the days of friendly, personalized service and really great golf, then you have found your home away from home. Spring valley Golf Course is a shot placement course, with adventure and beauty around each turn. hole #14 is the most photographed hole at Spring valley. With a sweeping view of Hell's Hollow this hole is a par 4, 387 yards. You tee up well above the fairway and a straight drive is a must to reach the pond, an easy chip over and a two put makes a par. The favorite hole and most hated hole at Spring valley is the par 5, 503 yard hole number 4.